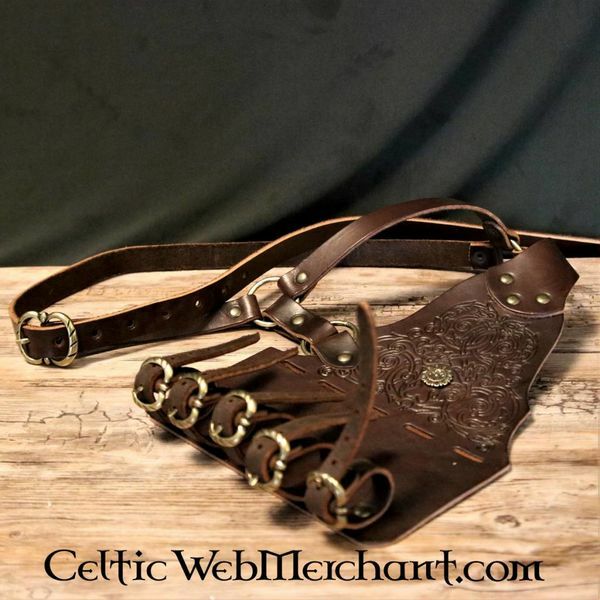 This baldric is a replica of originals depicted on late 16th-17th century Dutch paintings. 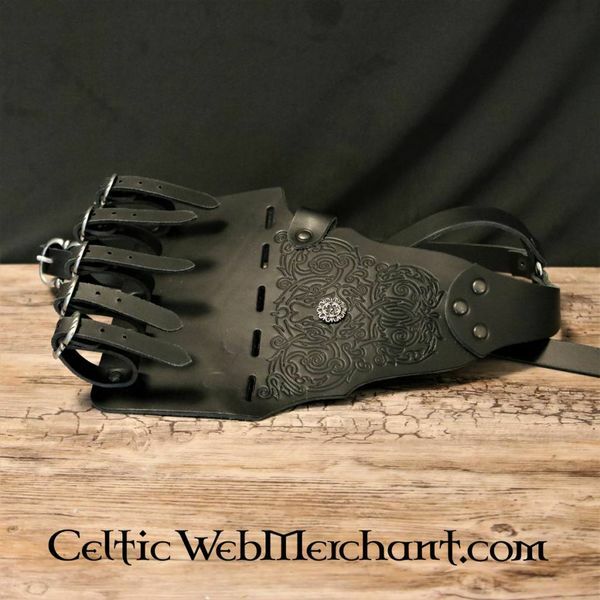 Baldrics were worn both around the shoulders and around the waist. 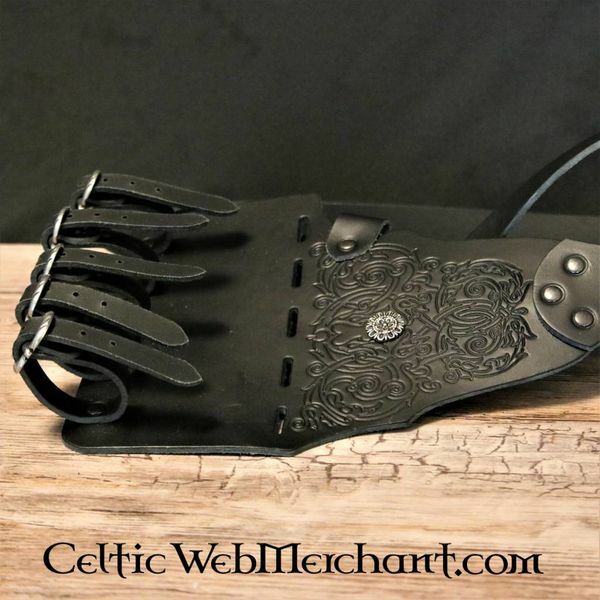 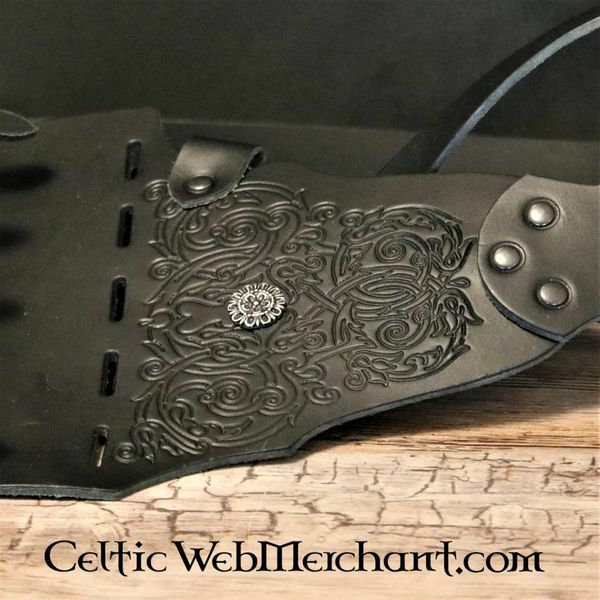 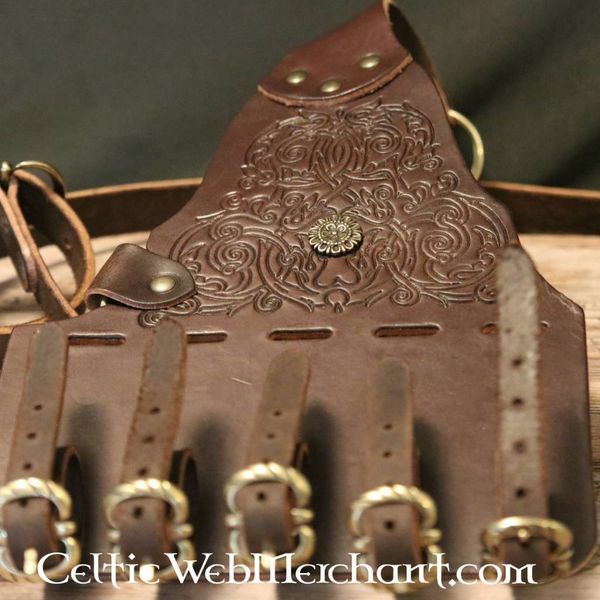 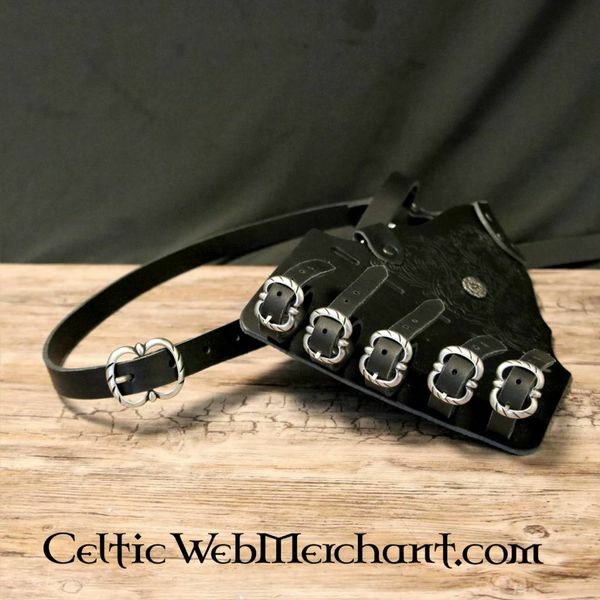 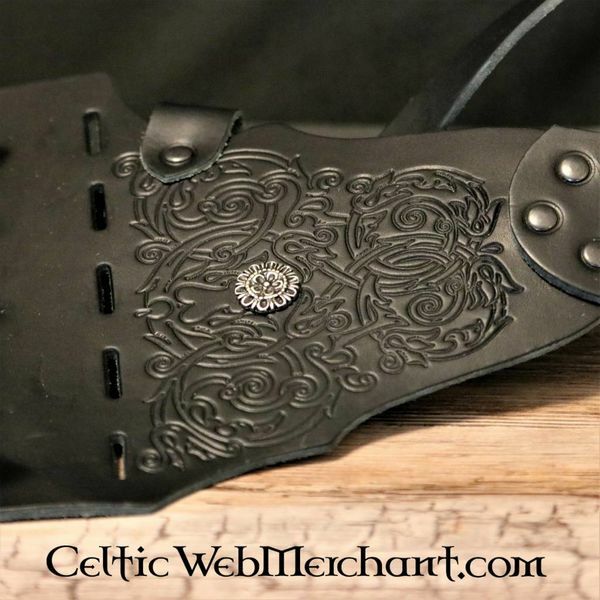 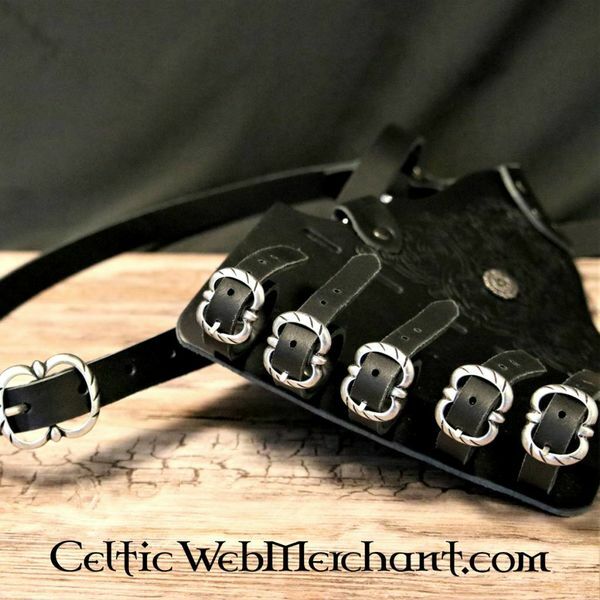 This baldric is designed for wearing around the waist. 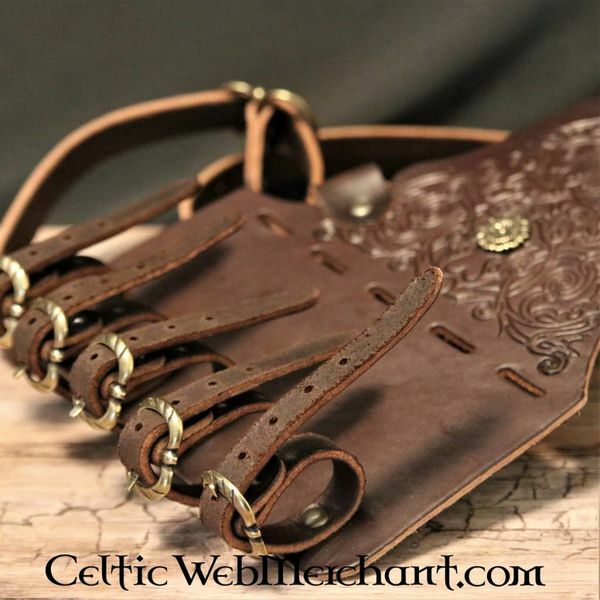 It is made of high quality leather and decorated with a motive that was often used in the late 16th and 17th centuries. 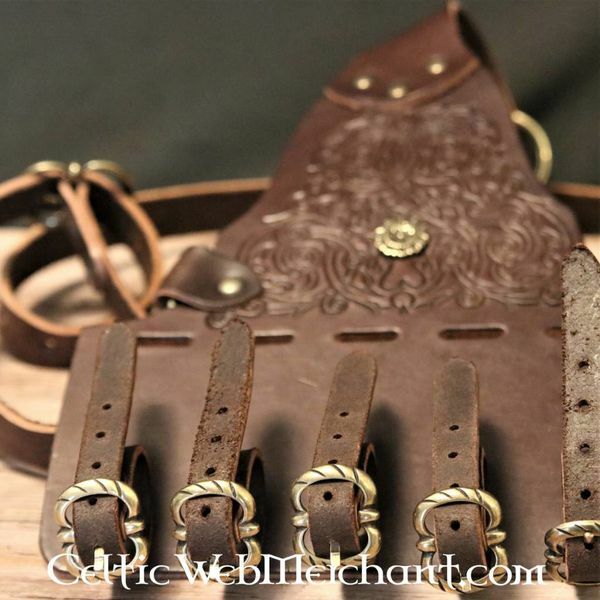 This baldric can easily adjusted to the size of the rapier or sword scabbard.